It’s been a long time since Nathan Adrian of Bremerton has delighted his hometown fans by competing locally, but his appearance at the U.S. Winter Nationals Dec. 3-5 will end that drought. It’s the first time the Olympic champion will race in Washington since December of 2009 when he swam at the short-course nationals at the King County Aquatic Center in the 50 and 100-yard freestyle events, winning both. Adrian is scheduled to swim the 50 free on Thursday and the 100 free on Saturday. Adrian is just one of the USA Swimming headliners to compete next week. Michael Phelps, Natalie Coughlin, Anthony Ervin, Matt Grevers, Allison Schmitt and Missy Franklin are also scheduled to compete. In total, more than 40 national team members are among the nearly 700 swimmers slated to swim. Tickets are on sale now for the three-day event, which includes preliminaries at 9 a.m. and finals at 6 p.m. All-session adult passes are $60 with single day and single-session passes available. A live webcast of the entire meet will be available at usaswimming.org and NBC will tape-delay the nationals on NBC Sunday, Dec. 6 from 10-11 a.m.
Nathan Adrian of Bremerton is seeded second in the 100 free and third in the 50 free for the upcoming Arena Pro Swim Series at Santa Clara, California. 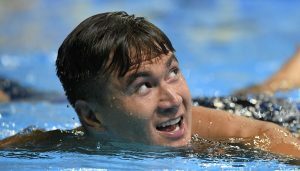 Nathan Adrian of Bremerton is slated to swim in the Arena Pro Swim Series event later this week in Santa Clara, California. The meet begins Thursday with a timed-final distance session. Friday-Sunday prelims begin at 9 a.m. followed by finals at 5 p.m.
Also expected to swim are gold medalists Natalie Coughlin, Anthony Ervin, Michael Phelps, Missy Franklin, Matt Grevers and Allison Schmitt. 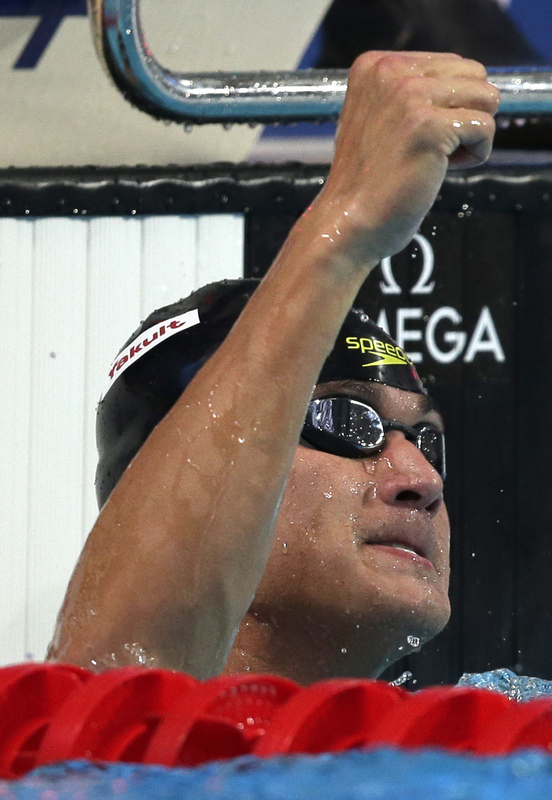 Adrian, the defending Olympic champion in the 100 freestyle, is seeded second in that event with a time of 47.84 seconds. Russia’s Vladimir Morozov is the top seed with a time of 47.62. The 100 free is Sunday. Adrian is also swimming the 50 freestyle. He’s the third seed with a time of 21.47. Bruno Fratus of Brazil is the top seed in 21.41 followed by Ervin in 21.42. Ervin and Adrian are teammates at California Aquatics. The meet is being televised at Universal Sports Network. A webcast of the meet can be found at usaswimming.org.